But sanity on racial issues is sufficiently rare that it must be welcomed, from whatever source it comes. When establishment Republicans have addressed the problems of blacks at all, it has too often been in terms of what earmarked benefits can be offered in exchange for their votes. And there was very little that Republicans could offer to compete with the Democrats’ whole universe of welfare state earmarks. Nor is that necessary. Just an erosion of the Democrats’ monopoly of the black votes can benefit both Republicans and the black community, who are currently taken for granted by the Democrats. Republicans may also get more white votes if they are no longer seen by some as racists. Education is an issue with little, if any, down side for the Republicans, because the teachers’ unions are the single biggest obstacle to black youngsters getting a decent education — and among the biggest donors to the Democrats. 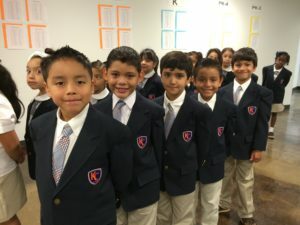 Among the few signs of educational success for low-income minority children in the public schools are the KIPP and Success Academy charter schools. But teachers’ unions are bitterly opposed to increases in the number of such schools, and Democrats do what the teachers’ unions want, because money talks. As long as blacks vote automatically for Democrats, while the teachers’ unions insist on getting their money’s worth, it is all but inevitable that the education of black children will be sacrificed in the public schools, wherever Democrats are in control. Republicans have nothing to lose by taking on the teachers’ unions, which donate more than 90 percent of their money to Democrats. Again, Republicans may not win a majority of the votes of even those parents who have children in the public schools. But that is where any inroads into the black vote can begin. Thomas Sowell is a columnist for WorldTribune.com. and a senior fellow at the Hoover Institution, Stanford University, Stanford, CA 94305. His website is www.tsowell.com.